AN RTÉ presenter told Tánaiste Joan Burton that she "overstepped the mark" when a heated 'Morning Ireland' row continued off air. Dr Gavin Jennings attempted to take the Labour Party to task after she accused RTÉ of living in a Dublin 4 world. But Ms Burton shrugged off the row and with her tongue firmly in cheek and said she was sorry for not addressing her interrogator as a doctor. "I apologise I didn't use his full title," she told reporters afterwards. Ever since the morning of Brian Cowen's infamous crash interview at his party think-in back in 2010, political leaders come prepared for battle on 'Morning Ireland' - and Joan was no different. In face of relentless questions about election promises, she sniped: "I think this country has a great future and actually in all fairness to you, you should be talking the country up, not trying to talk the country down". However, later at a press conference in Wicklow, she said: "I think it was a robust interview and robust interviews are what I expect. But, equally, I am entitled to be part of the conversation and that was what I was trying to do." The Tánaiste added: "I think the role of the media is to reflect the country honestly and the concerns of the media as the media decides, but I was seeking to make the point that the country has come to a much better place. I think I'm entitled to say that." The RTÉ rumble had broken out just before the end of the programme as the Social Protection Minister was being grilled by Dr Gavin over which benefits cuts the Government were planning to reverse. "What about the back to school allowance? Will you reverse the cut to the back to school allowance?" he persisted with grim doggedness. With no straight answer forthcoming, Gavin set off in pursuit again like a determined dog chasing a particularly elusive car. "Yes, but with respect, a child benefit increase to every child, to every family in the country is not a targeted increase. What benefit cuts I have asked you about, are you going to reverse?" he demanded. Joan promptly took another tack altogether, playing the man not the ball. She launched a flying tackle. "Gavin, can I just say to you I think that's quite an extraordinary statement by RTÉ that child benefit doesn't benefit families with children. I don't know what world RTÉ inhabits, perhaps, in Dublin 4," she said, before rounding off proceedings with her missile about the national broadcaster "talking the country down". The broadcaster wound up the interview without comment, but off-air the exchange continued. A clearly unimpressed Dr Gavin told the Tánaiste that he believed she had overstepped the mark with her criticism of the station, and added for good measure that he himself hailed from County Meath and did not inhabit Dublin 4. The wrangle continued for some minutes between the pair - neither of them shrinking violets when it comes to a scrap - until 'Morning Ireland' editor Brendan Fitzpatrick intervened. In the aftermath, there was no comment forthcoming from either Montrose or the proud Meath man. And a Labour source simply laughed it off as just business and not personal. "There's no ongoing antagonism," he said. "This isn't about RTÉ being 'Pravda' - there's sometimes just a feeling it should reflect times when there is good news." 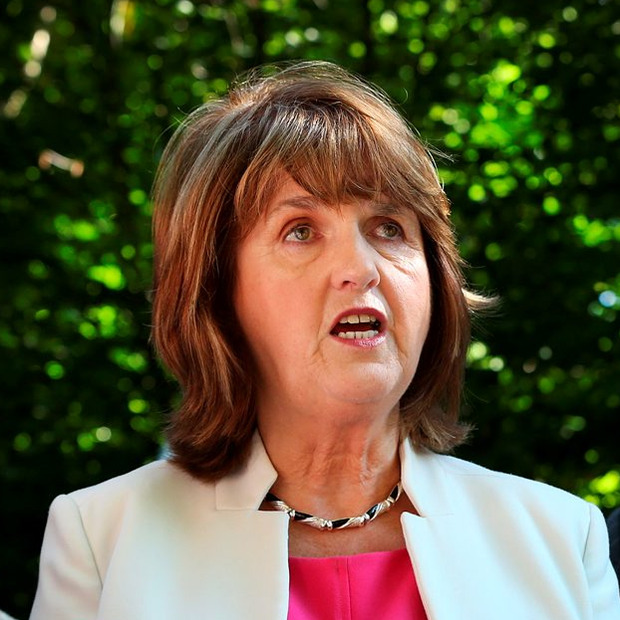 So was the Tánaiste correct, or did she overstep the mark? Certainly, 'Morning Ireland' is no barrel of laughs. Levity - apart from the odd quip in a sports bulletin - is generally frowned upon, and political interviewees bearing a gift of glad tidings into the studio are frequently rewarded with a stiff verbal beating. 'Morning Ireland' is also known as 'Mourning Ireland' and 'Misery Montrose' and some days such is the level of pre-breakfast doom and gloom emanating from the studio, that one almost expects to see the Montrose mast transmogrify into Mordor, topped with flames and the eye of Sauron and encircled by a phalanx of Orcs. But then again, 'Morning Ireland' isn't supposed to be fun. There are other stations for that, with cheery presenters and 'Gift Grub' and giveaways. The Four Horsepeople of the Apocalypse - Dr Gavin and Cathal Mac Coille and Rachel English and Audrey Carville - are there to wring rapid replies from often-slippery customers in a matter of mere minutes. However, Gavin had a defender, whether he wanted one or not. Even though Fianna Fáil leader Micheál Martin had no dog in this fight, he decided to stick his gnashers into Joan anyway. At a press conference at his own party think-in, he proclaimed: "I think both the tone, tenor and her demeanour really brought home to me the sheer arrogance of this Government, the intemperate nature of how they approach anybody who challenges them." Micheál must be so relieved he has no uppity women TDs to be giving him lip. For if he did, he'd have to call for the Doctor.